It’s Christmas-time for scammers running the tax return fraud game. The Internet Crime Complaint Center says return fraud doubled from 2013 to 2014 as criminals become increasingly more proficient in stealing the personally identifiable information. A variety of fraud techniques to obtain the information needed to file a tax return. The most popular methods include: computer intrusion, the online purchase of stolen personal information, the recruitment of insiders who have legitimate access to sensitive information, the physical theft of computers that contain personal information, the impersonation of Internal Revenue Service personnel, and the aggregation of information that is obtained through multiple publicly available Web sites, the IC3 states. Once the fraudsters obtain victim’s information, they electronically file tax returns and set up pre-paid debit cards or bank accounts to route fraudulent returns. The balances on the pre-paid cards and bank accounts are depleted shortly after the tax refund is issued, the IC3 said. This type of crime is perceived by criminals and organized criminal enterprises as relatively easy, seemingly low-risk, and, ultimately, pure profit which can be used to fund other criminal activities—like drug trafficking, money laundering, public corruption, or even terrorism, the FBI wrote last year. “Anyone with a Social Security number could become a victim. But criminals who commit tax refund fraud seem to focus more on people who don’t normally file tax returns—the elderly, low-income families, students, patients at long-term health care facilities, and even the homeless. Perpetrators also target public figures like celebrities, athletes, CEOs, and politicians, as well as law enforcement, military, and government personnel,” the FBI stated. 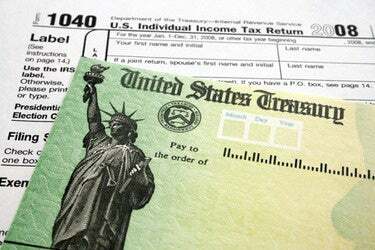 Victims who filed complaints with IC3 reported they discovered they were victims of tax refund fraud when they tried to file a return and were notified by the Internal Revenue Service that their Social Security Numbers had already been used to file a tax return. One individual reported that due to an error in direct deposit account information submitted on his return, he was issued a check. However, the victim had not yet filed a return. Others reported before they filed their return, they received notification that their returns were being audited or were under review, the IC3 stated. The IC3 said recent investigation identified a tax refund fraud ring responsible for filing approximately 644 fraudulent tax returns totaling over $1.9 million in attempted fraud. “Using fraudulently obtained personal information, the fraudsters submitted tax returns and requested the funds be deposited into bank accounts under their control. The group recruited college students to open accounts to collect the tax refund monies. The students withdrew funds via ATMs and counter withdrawals. The students then passed the majority of the funds to another group member and kept a portion of the refund as payment for the use of their bank accounts to conduct the scheme,” the IC3 stated. While there has been an increase in prosecution of tax fraud cases its likely only the tip of the iceberg. In fiscal year 2014, the IRS initiated 1,063 identity theft related investigations. Criminal Investigation enforcement efforts resulted in 748 sentencings as compared to 438 in FY 2013, an increase of 75% and the incarceration rate rose 7.1 to 87.7%. The courts imposed significant jail time with the average months to serve in FY 2014 at 43 months as compared to 38 months in FY 2013 — the longest sentencing being 27 years, the IC3 stated. The Identity Theft Clearinghouse (ITC) continues to develop and refer identity theft refund fraud schemes to Criminal Investigation (CI) Field Offices for investigation. Since its inception in FY12, it has received over 7,600 individual identity theft leads. These leads involved approximately 1.47 million returns with over $6.8 billion in refunds claimed, the IUC3 said. Could modernized analog computers bring petaflops to the desktop?